How high can you fly? Shoot for the moon, or just 630 feet above the Mississippi River. 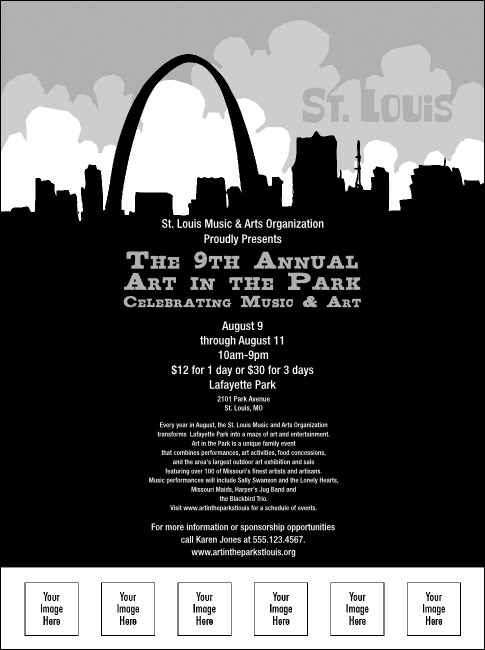 No matter the size, you can expand your limits by advertising with the St. Louis Flyer in black and white, with space on the template to upload six logos, headshots, or any other custom images. Make it your own and get the party started. For black and white or full-bleed, high-resolution color, TicketPrinting.com has your Fliers.